To celebrate the upcoming holiday season, SCALA has slashed prices on a wide range of products – allowing retailers to profit big from end of the year deals with discounts up to a whopping 75%. Products in the promotion span all product categories, types and brands, meaning this sale offers something for every retailer. 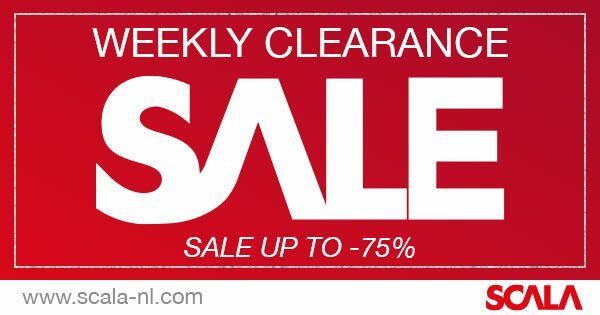 The promotional period will run for limited-time and the products on offer will change each week, with new deals announced every Monday via SCALA’s weekly newsletter. SCALA’s special surprise sale can be found on via www.scala-nl.com. Deals and discounts change every Monday.